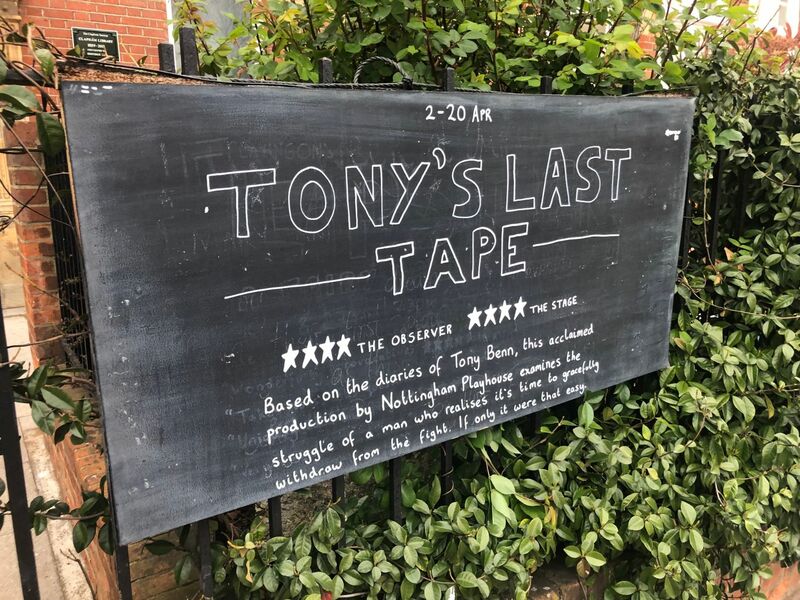 If I had a bigger flat with lots of nice empty walls, I’d be ringing Hampstead Theatre and putting my name on a waiting list for some of the props in the current production of Peter Souter’s romantic comedy Hello/Goodbye. In it, Shaun Evans plays Alex, “a lister, a filer, a collector”, who unpacks boxes and boxes of framed collections at his new flat, much the to bemusement of soon-to-be-flatmate and erstwhile partner Juliet, played by Miranda Raison. 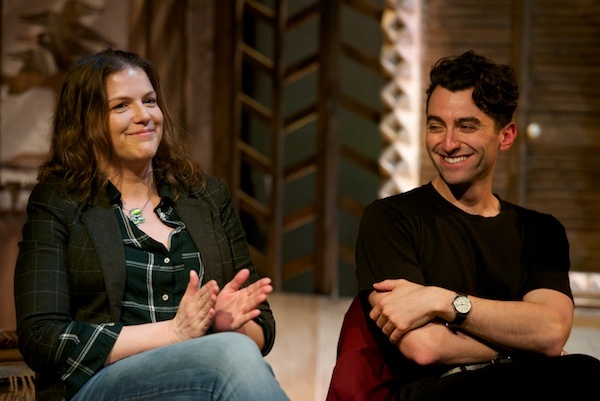 “I think it’s a boy thing,” Souter remarked in a recent post-show Q&A at Hampstead Theatre – to which leading lady Raison piped in with the confession that she has “all the NatWest piggies”, issued by the bank in the 1980s. Collectors interested in scale may not be too impressed by that, given this was limited to a family of six, but there’s a fascinating history of the pig collectables here. The array of Collectables on offer on ebay is frankly dizzying – prop wise, there’s no worry about licensing untold numbers of productions of Hello/Goodbye. Just today on ebay.co.uk, there are nearly 3.7 million items listed for sale in 129 different Collectable categories ranging from the fairly standard (Autographs, Stamps and Postcards) to the colourful (Disneyana, Masonia and Militaria) to the downright Weird. “Totally Bizarre” attracts the lion’s share of listings. Here’s where collectors can track down such must-have items as: a military issue masturbation sock, New Orleans voodoo doll, feather crowns and phallic fertility pendants. Ebay, and the internet in general, has revolutionised collecting in recent years, in the same way that mass production did more than a century ago, democratising it and bringing it within easy reach of ordinary people – who just have to decide what to collect… and where they’ll store it. 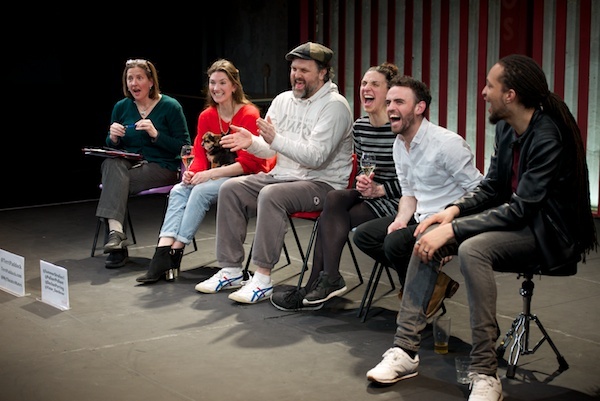 Hello/Goodbye continues at Hampstead Theatre until 28 February 2015. 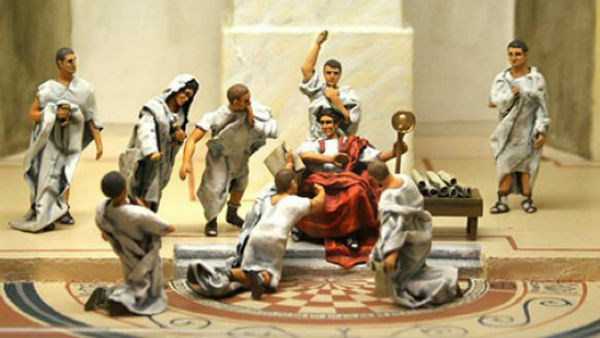 There are so many weird, wacky and wildly successful collectors out there – I urge you to Google the guy who collects his own navel fluff, for example – but here are 15 I’ll tip my hat to. These have all achieved world-record-breaking success with their collections – and they hail from all over the world (not just the quirkier American backwaters). 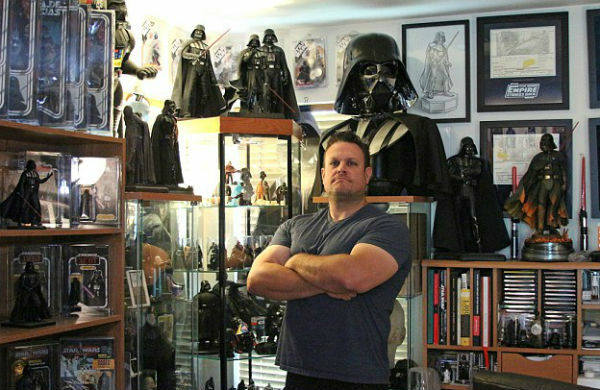 Bill McBride has spent more than £175,000 on buying Darth Vader merchandise, has collected more than 60,000 items including figurines, artwork and replica lightsabers; He is on a 20-year mission to turn his bedroom into a museum dedicated to the Sith Lord. Where: Washington, DC, USA. 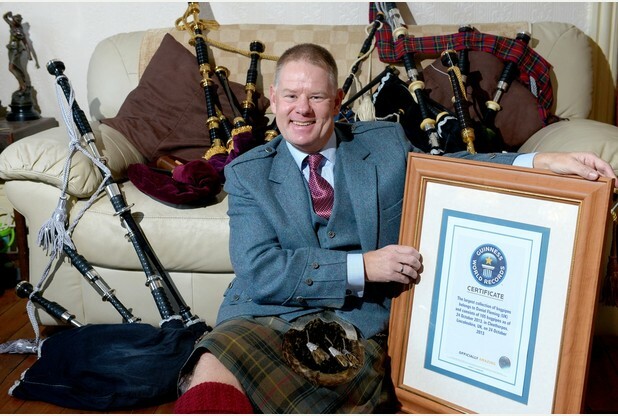 Danny Fleming has spent around £130,000 on 105 sets of bagpipes. Now 52, he started his collection at the age of 10 in 1973. Where: Grimsby, Lincolnshire, England. 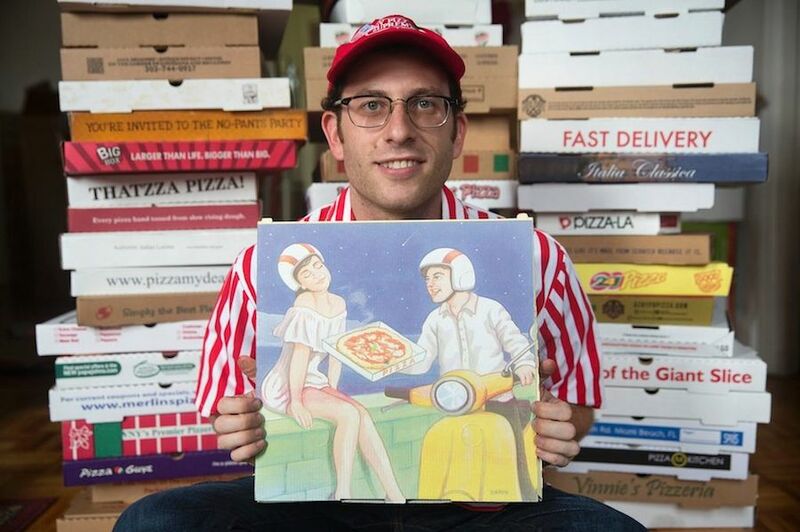 Scott Wiener, who owns a company taking tourists to “Points of Pizza Interest” in New York City, has 600 boxes from 42 countries neatly broken down and stacked in his New York apartment. Where: New York, New York, USA. 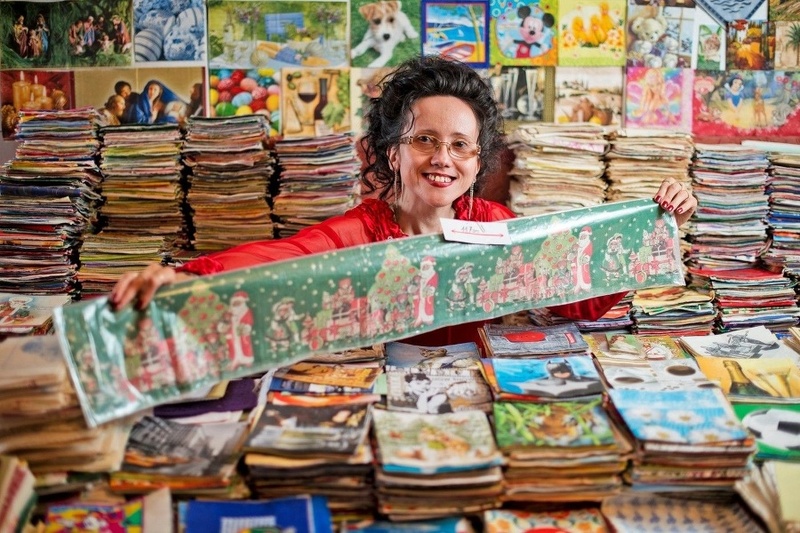 Over 16 tears, Antonia Kozakova, 39, has amassed a collection of 62,500 napkins that could be worth £300,000. For now, they’re piled up in her office. She has broken her own Guinness World Records’ record three times. Where: Ruska, Slovakia. Hassan bin Ali al-Naimi has collected over 100,000 banknotes from different countries with serial numbers 000001, 000002, 000003 and 111111, setting new world record for the Largest collection of banknotes with similar serial numbers from different countries. 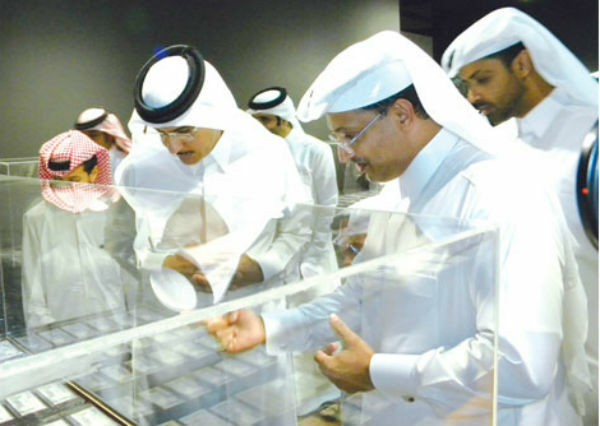 He has displayed them at an exhibition at Katara Cultural Village. Where: Doha, Qatar. 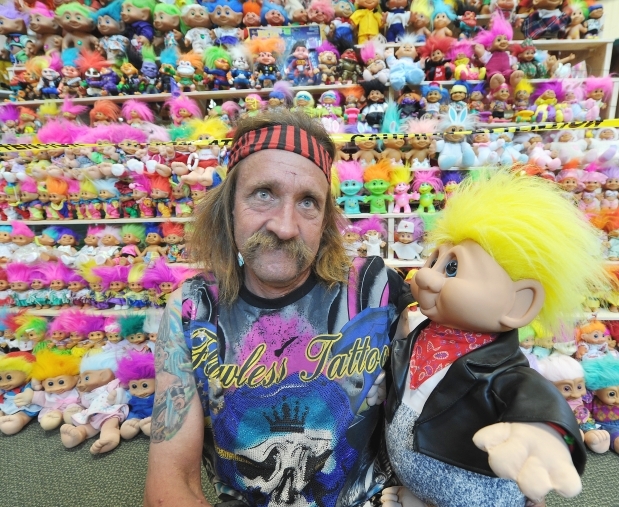 Cement finisher by day, in his spare time Ray Dyson has collected 1,754 troll dolls. Where: Edmonton, Canada. Jordan Michael Geller’s Shoezeum is a shrine to Nike that includes one of every model of Air Jordans ever made. He has more than 2,600 pairs of sneakers (trainers, in Britspeak). Michael Jordan would be proud. (I’m wondering: did the collector’s name inspire him? Or did he change his name in honour of his collection???) Where: Las Vegas, Nevada, USA. Something in the water in Las Vegas? 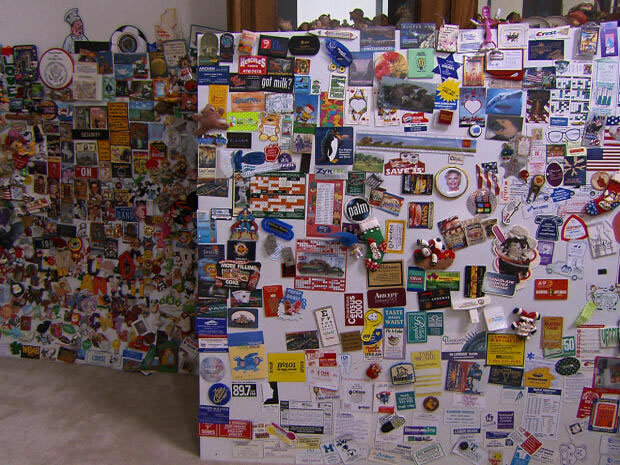 In a nearby suburb, Louise J Greenfarb has 35,000 non-duplicated fridge magnets that she has been collecting since the 1970s. For some reason, her nickname is The Magnet Lady. (Does she also have the largest fridge?). Where: Henderson, Nevada, USA. 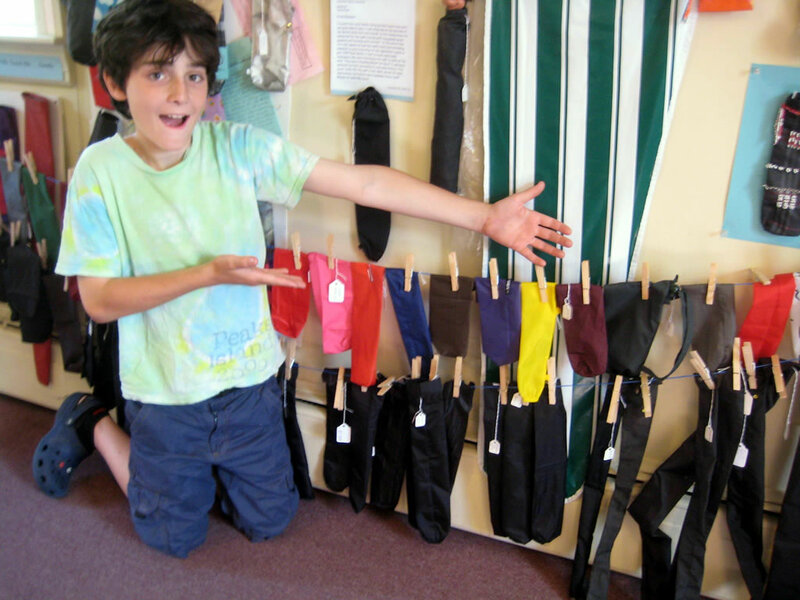 Nancy Hoffman founded the world’s only Umbrella Cover Museum to house her 700+ umbrella sleeves from nearly 50 countries. (What happened to all the umbrellas, though?) Where: Peaks Island, Maine, USA. If you want to recreate the D-Day landings or some such, the Museo de los Soldaditos de Plomo is the place to go. It has a collection of more than 85,000 toy soldiers and miniature figures on display in intricate dioramas and displays – and more than a million more in storage! Where: Valencia, Spain. Talk about corporate spirit. Betty Davis, who works for the Beaver Medical Group, has gathered 608 pieces of beaver-related memorabilia. 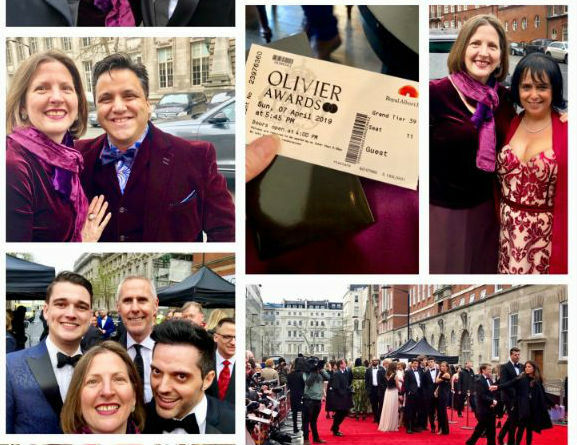 She is the company’s Director of Historic Assets. Where: Redlands, California, USA. 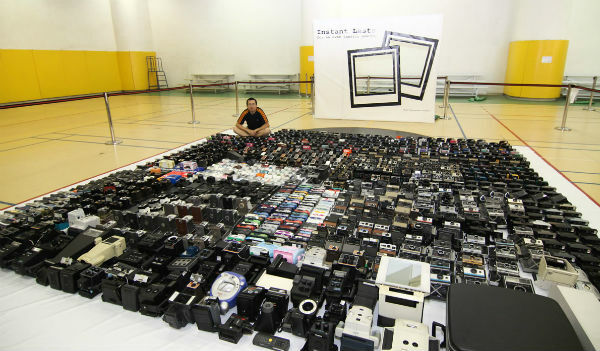 Possibly not a fan of smartphones, Wong Ting Man owns 1042 different instant cameras. The collection is valued at £85,000. Where: Hong Kong, China. 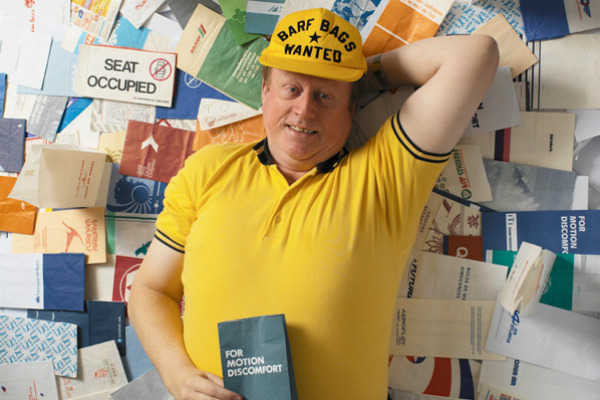 Over more than 40 years of collecting, seventy-something Niek Vermeulen has accumulated 6,016 sick bags from 1,142 different airlines in 160 countries. Let’s hope none of them have been used… Where: Wormerveer, Holland. 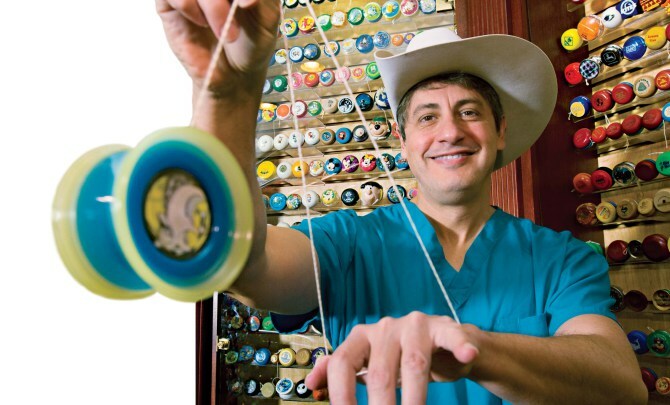 Fifty-something doctor John Meisenheimer, has amassed over 6,000 yo-yos, including antiques and a super-sized six-foot one from a fairground. He started collecting them in the early 1980s when he was at medical school. Glad to see he can do “Rock the Baby” on at least one of them; probably best not to try that operation with the jumbo yo-yo… Where: Orlando, Florida, USA. 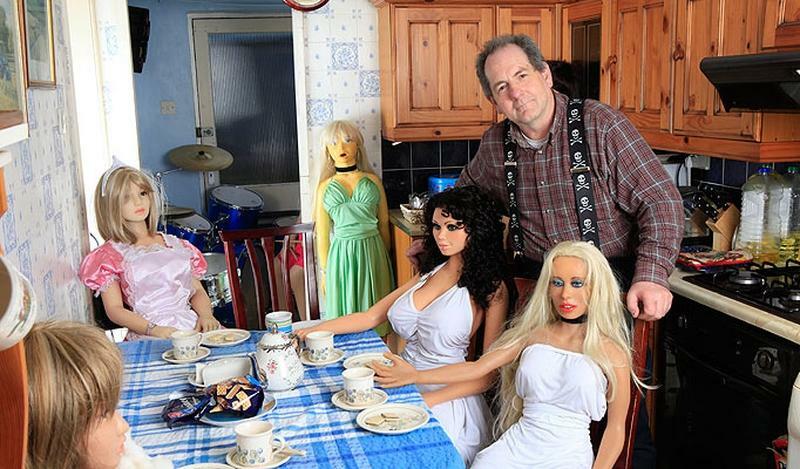 Creepiest for last – and he’s a Brit… Mechanic, father-of-two Bob Gibbins has a harem of 240 rubber, silicone and inflatable love dolls, valued at more than £100,000. Creepier still, fellow collectors call Bob “The Hugh Hefner of the Love Doll World.” And even creepier still: he collects them with his wife Elizabeth. Who gets which bedroom at night, I wonder… Where: Madley, Herefordshire, England. Check out the World Record Academy for more record breakers and their stories. 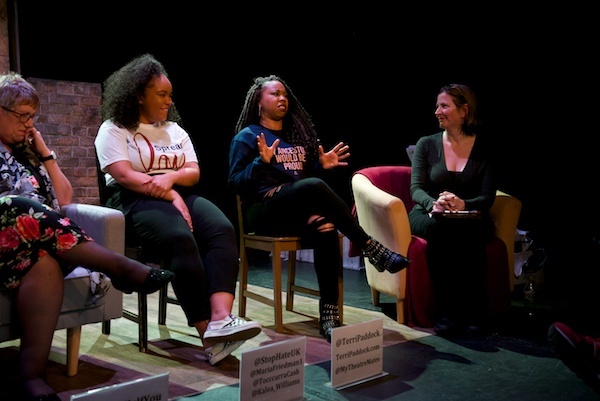 Or perhaps you want to have your own go at breaking a world record? Do let me know if you do!